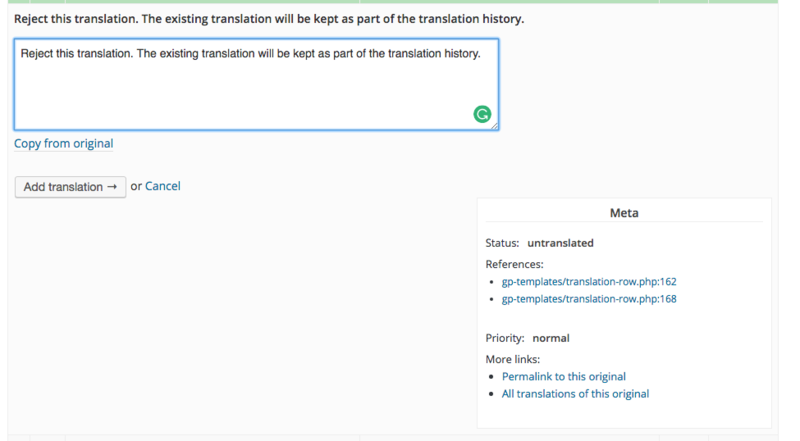 Seems with the latest update on translate.wp.org that the Meta box gets pushed down as the large strings are no longer wrapping. Screen Shot 2017-12-13 at 3.57.23 PM.png​ (68.8 KB) - added by garrett-eclipse 17 months ago. Translate: Limit width of the strings container.